I’m in the process of editing my review of ROGUE ONE: A STAR WARS Story so check back for the full version! Though I have to say that I really did not like this movie. Say what you will about the prequels, at least they felt like Star Wars movies. Rogue One? Maybe the last 35-40 minutes felt like a Star Wars movie though the bulk of it felt like the worse kind of war movie, namely the type where you don’t give a damn about anyone. Such a lack of character development you can get away with in a three or four minute short, though when you’re talking about a movie that runs almost two hours and a half it’s near inexcusable. 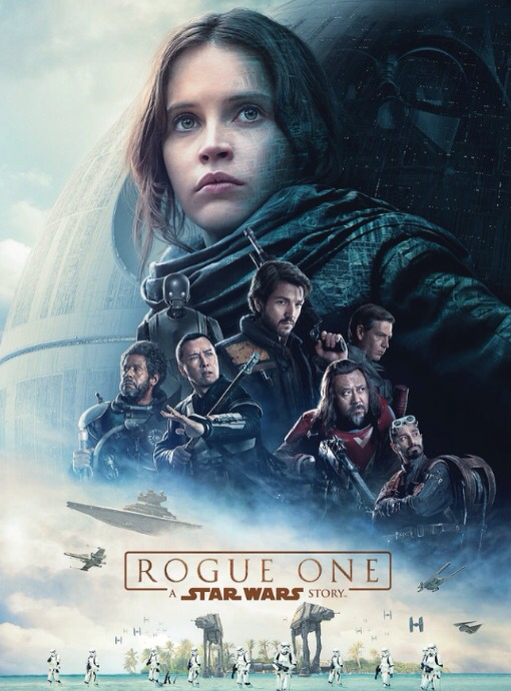 I honestly can’t tell if it’s the writing or the direction that’s at fault, but dealing with any sort of human emotion isn’t exactly director Gareth Edwards‘ strong suit (something’s that’s fairly obvious if you have seen either Monsters or Godzilla, though to be fair Rogue One makes Monsters feel almost pornographic in its displays of human emotion and relationships). Clearly people are seeing the movie, but I get the feeling that if there weren’t the connection to Star Wars, most wouldn’t give a damn. Posted in action, directors, Movies, My Two Cents.Tagged Gareth Edwards, Godzilla, Monsters, Star Wars, War Movies.